Only use brake/clutch fluid in brake/clutch system. 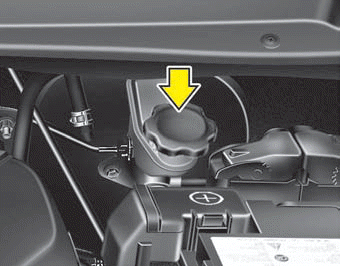 Small amounts of improper fluids (such as engine oil) can cause damage to the brake/clutch system. Do not allow brake/clutch* fluid to contact the vehicle's body paint, as paint damage will result. Brake/clutch* fluid, which has been exposed to open air for an extended time should never be used as its quality cannot be guaranteed. It should be disposed of properly.